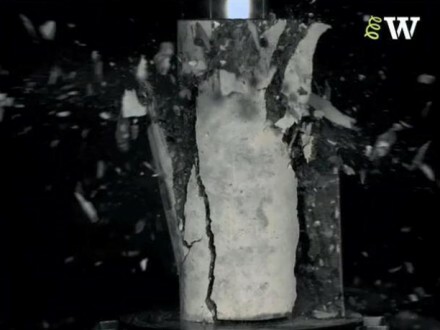 This film shows the behaviour of a concrete cube in compression. 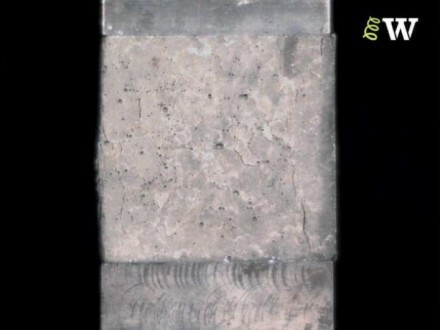 This concrete cube is made using Ordinary Portland Cement. 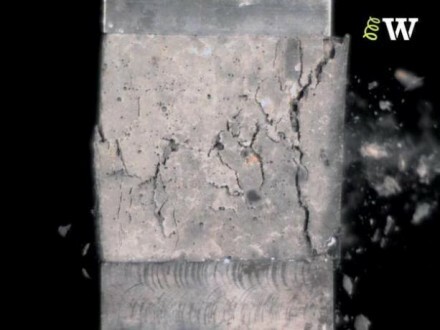 Tests such as this are one of the standard ways of testing the compressive strength of concrete. See also the cylinder tests in this section. 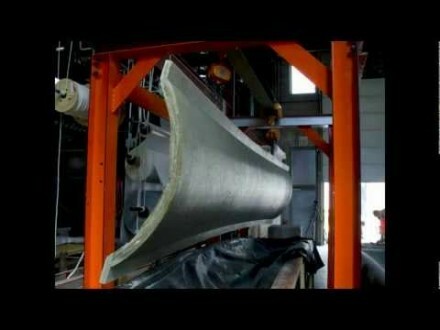 You can use the information in the video to calculate the strength of this sample. You can also see the effect of the shape of the test specimen on the ultimate strength by comparing the results of this test with the results of the ordinary concrete cylinder test. See the concrete cylinder compression failure video.